Find a vacation home to rent in Flekkefjord Municipality from our list of vacation rental properties. Campaya has over 16 vacation homes available in Flekkefjord Municipality, which give you the possibility to locate a unique accommodation in Flekkefjord Municipality which completes your check-list in search for the perfect self catering vacation apartments in Flekkefjord Municipality or vacation villas in Flekkefjord Municipality. Welcome to this great holiday house which is a part of idyllic Øvstefjellså Gård og Aktivitetssenter. 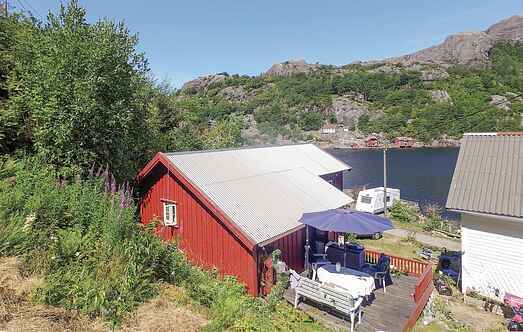 Small but nice house with a beautiful location just 25 meters from the fjord. Magnificent views of the water and excellent swimming and fishing in the fjord. A large and nice holiday house with a great location on Hidra. About 400 meters down to the sea where you will good fishing and bathing opportunities. Nice holiday home beautifully and peacefully located direct to the sea. The holiday home has its own, long pier where you can go fishing. Here you can enjoy great view to Kirkehavn. Charming holiday home on a natural plot that goes right down to the sea. The house is beautifully situated at the top of the plot. From here you have great view over the sea. Welcome to a nice and large holiday home peacefully placed direct to the water with boathouse and pier. Panoramic view over water and mountain. Very good fishing- and swimming oportunities. Welcome to this charming holiday apartment in Flekkefjord. You find this apartment on the third floor of an old wooden building. Nice and silence surroundings. Extreme well equipped holiday house, located on a hill with panoramic view over the lake Sirdalsvatnet. A gorgeous nature area with waterbodies, forests and mountains for nice hiking tours. A nice and cozy holiday apartment in beautiful Flekkefjord. The apartment is located directly by the fjord with its own pier, sea house and boat dock. Do you like a holiday in scenic surroundings in Sokndal? 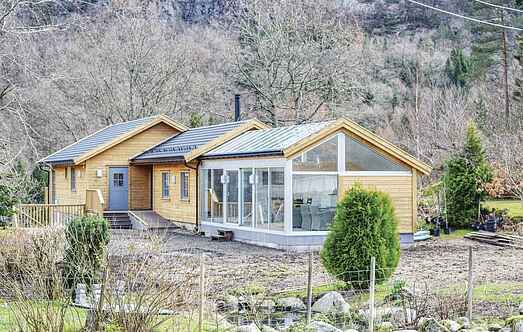 This cozy holiday home has a great site with only 40 meters to the fjord. A nice and cozy holiday house located on the beautiful island of Hidra. The house has a great location just 60 meters from the sea. A nice, large holiday home situated peacefully on a hill with beautiful views of the water and forest. In the water below there are very good fishing and swimming possibilities. A very nice holiday house with a peaceful location in Sira. The house can, among other things, offer pretty furniture and a nice atmosphere. This homey vacation apartment on the ground floor is located undisturbed and close to the fjord. A cozy holiday apartment with a great and secluded location on the island of Hidra. Only 200 meters down to the sea which offers great fishing and bathing opportunities. This homey vacation apartment on 1st floor is located undisturbed and close to the fjord.